NEW YORK, June 5, 2012 /PRNewswire/ — Last night, the Council of Fashion Designers of America (CFDA) paid tribute to the winners and honorees of the 2012 CFDA Fashion Awardsand commemorated the organization’s 50th anniversary at Alice Tully Hall, Lincoln Center. Saturday Night Live’s head writer and anchor Seth Meyers was the host for the evening. The evening’s Womenswear Designer of the Year honors went to Mary Kate and Ashley Olsen for The Row,presented by Jessica Chastain. The award for Menswear Designer of the Year was presented by Matt BomertoBilly Reid. Reed Krakofftook home the Accessory Designer of the Year Award, presented by Jessica Pare. For the eleventh year in a row, the evening was generously underwritten by Swarovski. 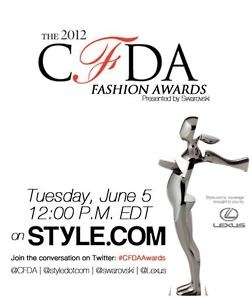 For the first time in its history, the 2012 CFDA Fashion Awards will be digitally broadcast on Tuesday, June 5th, at noon, only on Style.com. The digital broadcast is sponsored by Lexus. “Swarovski is thrilled to be a part of such an incredible evening honoring the best in American fashion and celebrating the 50th Anniversary of the CFDA. We are proud to support all of the Swarovski Award nominees, and look forward to watching a brilliant future unfold for each of the winners,” said Nadja Swarovski, Member of the Executive Board, Swarovski. Lily Collinspresented the three Swarovski Awards, which honor and recognize emerging talent. The Swarovski Award for Womenswear was given to Joseph Altuzarra.The Swarovski Award for Menswear was presented to Phillip Lim.The Swarovski Award for Accessory Design went toTabitha Simmons. Recipients in each category will receive generous financial support from the company as well as exposure to the company’s vast and innovative crystal products and applications for fashion. TheGeoffrey Beene Lifetime Achievement Award was presented toTommy Hilfiger by Anna Wintourfor his consistent, creative influence on fashion. The Founder’s Award, established in memory of CFDA founder Eleanor Lambert was given to Andrew Rosen by Kenneth Cole. The Media Award for excellence in journalism, originally created in honor of Eugenia Sheppard, was presented todigital journalistsScott Schumanand Garance Dore by Pharrell Williams. Rei Kawakubo of Comme des Garconswas recognized with this year’s International Award. Johnny Depp was given the Fashion Icon award. Both Kawakubo’s and Depp’s award were presented by director John Waters. The opening of the CFDA Fashion Awards featured a film directed by Zoe Cassavetes. The two-minute film paid tribute to the 50th anniversary of the CFDA and its members. The film was followed by a live retrospective of five decades of impactful clothes designed by CFDA members. Steven Kolb read an email from Johnny Depp onstage which Kolb received just minutes before appearing on stage. The message was sent by Depp from the set of his film “The Lone Ranger” to thank the CFDA for the Fashion Icon award. Seth Meyers appeared again mid-show to perform a second monologue dressed in the same Comme des Garcons men’s sheer lace dress and boxers worn by Marc Jacobs a month earlier at the Met gala. The closing segment of the Awards included a career retrospective film of Tommy Hilfiger followed by a live performance by the acapella group, The Princeton Footnotes. Some of the most well known names in the fashion and social worlds were in attendance including CFDA President Diane von Furstenberg,CFDA CEOSteven Kolb, Alexander Wang,Antonio Azzuolo,Arizona Muse,Ashley Olsen,Betsey Johnson,Billy Reid,Brian Atwood, Brad Goreski, Candice Swanepoel, Carine Roitfeld, Carolina Herrera, Catherine Malandrino,Chris Peters,Crystal Renn, Cynthia Rowley, David Neville, David Yurman, Deborah Lloyd, Derek Lam, Donna Karan, Doo-Ri Chung, Dree Hemingway, Eddie Borgo, Elettra Wiedemann,Erin Beatty,Erin Wasson, Francisco Costa, Gilles Mendel, Grace Coddington, Gregory Parkinson,Harley Viera-Newton, Hilary Rhoda,Irene Neuwirth,Italo Zucchelli,Jack McCollough,Jacquelyn Jablonski, Jason Wu, Jenna Lyons, Jessica Stam, Jill Stuart, Joan Smalls, Johan Lindeberg, John Bartlett, John Varvatos, John Whitledge, Johnson Hartig,Jonathan Adler,Joseph Altuzarra,Karen Elson, Kenneth Cole, Keren Craig, Kevin Carrigan, Lana Marks,Lazaro Hernandez,Lela Rose, Liu Wen, Lubov Azria,Marc Jacobs, Marcia Patmos,Marcus Wainwright, Maria Cornejo,Mary-Kate Olsen, Max Osterweis,Michael Kors, Monique Lhuillier, Monique Pean, Nadja Swarovski, Naeem Khan, Nicole Miller, Olivier Theyskens,Pamela Love, Patrik Ervell,Peter Som, Philip Crangi,Phillip Lim,Prabal Gurung, Rachel Roy, Rachel Zoe,Reed Krakoff, Robert Lee Morris,Shane Gabier,Simon Doonan,Simon Spurr,Sophie Theallet, Stacy Bendet-Eisner, Stan Herman, Steven Alan, Stuart Weitzman,Tabitha Simmons,Thom Browne, Tina Lutz,Todd Snyder,Tory Burch, Tracy Reese, Victoria Bartlett, Vivienne Tam, Yeohlee Teng, Yigal Azrouel,and Zac Posen. They joined other notables from the world of entertainment, music, and sport, such as Alison Mosshart, Bernadette Peters, Busy Philipps, Dakota Fanning, Devon Aoki, Gretchen Mol, Heather Graham, Jack Huston, Jennifer Tilly, Julianne Hough, Kate Bosworth, Lauren Hutton, Mandy Moore, Olympia Scarry, Padma Lakshmi, Shaun White, Solange Knowles, Sophia Bush, St. Vincent (Annie Clark), Victor Cruz,and Zoe Saldana. Also recognized by Kolb were the recipients of the CFDA/Lexus Eco-Fashion Challenge. They are John Bartlett, Marcia Patmos, and Johnson Hartig of Libertine. Guests arrived in the Lexus RX 350 and RX 450 Hybrids. Lexuswas the official automotive sponsor of the evening. QVC was the official red carpet sponsor. Glitterbox Floor Lamps and Lanterns by Georg Baldele for Swarovski Crystal Palace created a glittering backdrop during arrivals and cocktails at Alice Tully Hall and in the outdoor Swarovski Terrace, while a custom-made Swarovskicrystal-encrusted podium added an extra element of dimensionality on stage this year. The Awards journal and graphics were designed by Trey Laird of Laird + Partners,with photography byCraig McDean. Nominees, honorees, and winners were determined by a selection committee comprised of CFDA members, leading fashion journalists, stylists, and top retail executives. Ernst & Young, LLP was the official accounting firm of the Awards. KCD was the executive producer of the 2012 CFDA Fashion Awards. 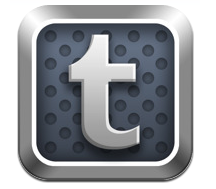 Please go to style.com on Tuesday, June 5th at noon or the first-ever digital broadcast of the CFDA Fashion Awards. The Council of Fashion Designers of America, Inc, (CFDA) is a not-for-profit trade association founded in 1962 that leads industry-wide initiatives and whose membership consists of more than 400 of America’s foremost womenswear, menswear, jewelry, and accessory designers. In addition to hosting the annual CFDA Fashion Awards, which recognize the top creative talent in the industry, the organization offers programs which support professional development and scholarships, including the CFDA/Vogue Fashion Fund, the Geoffrey Beene Design Scholar Award, the Liz Claiborne Scholarship Award, the CFDA/Teen Vogue Scholarship, and the Gilt All Star Scholarship. Member support is provided through the Business Services Network, a high-profile group of companies offering designers strategic opportunities. The CFDA Foundation, Inc. is a separate, not-for-profit organized to mobilize the membership to raise funds for charitable causes. 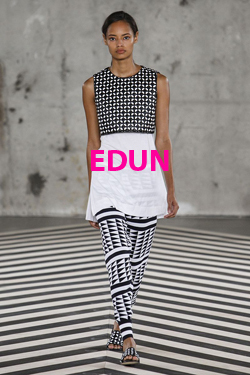 Through the Foundation, the CFDA created and manages Fashion Targets Breast Cancer; raises funds for HIV/AIDS organizations with 7th on Sale; addresses the issue of model health with The CFDA Health Initiative; and is a key participant in other programs such as the annual Fashion’s Night Out. For more information, please visit http://www.CFDA.com,facebook.com/cfda,twitter.com/cfda,cfda.tumblr.com, and youtube.com/cfdatv. In 1895, Daniel Swarovski, a Bohemian inventor and visionary, moved to the village of Wattens, Tyrol in Austria, with his newly-invented machine for cutting and polishing crystal jewelry stones. From this beginning that revolutionized the fashion world, Swarovski has grown to be the world’s leading producer of precision-cut crystal for fashion, jewelry and more recently lighting, architecture and interiors. Today, the company, still family-owned and run by 4th and 5th generation family members, has a global reach with some 23,000 employees, a presence in over 120 countries and a turnover in 2010 of 2.06 billion Euros. Swarovski comprises two major businesses, one producing and selling loose elements to the industry and the other creating design-driven finished products. Swarovski crystals have become an essential ingredient of international design. Since 1965 the company has also catered to the fine jewelry industry with precision-cut genuine and created gemstones. Showing the creativity that lies at the heart of the company, Swarovski’s own brand lines of accessories, jewelry and home decor items are sold through more than 1,900 retail outlets worldwide. The Swarovski Crystal Society has close to 325,000 members across the world, keen collectors of the celebrated crystal figurines. And in Wattens, Swarovski Kristallwelten, the multi-media crystal museum, was opened in 1995 as a celebration of Swarovski’s universe of innovation and inspiration.